Make a personal design statement with the Polaris P626 ensemble; a distinctive, vessel-sink and waterfall-faucet combination. Polaris glass vessel sinks are created of thick, tempered glass, making them less vulnerable to damage from high temperatures. The non-porous, polished surface is extremely attractive and sanitary; naturally resistant to stains, odors and discoloration. The waterfall faucet features solid-brass construction and a matching glass disc, over-which water lightly cascades into the vessel bowl. Water flow and temperature are easily controlled with the extended swivel handle. The ensemble includes a specially-designed, vessel pop-up drain that springs into place with a gentle touch. A matching sink ring is also provided for support of the bowl – required for the above-counter installation. 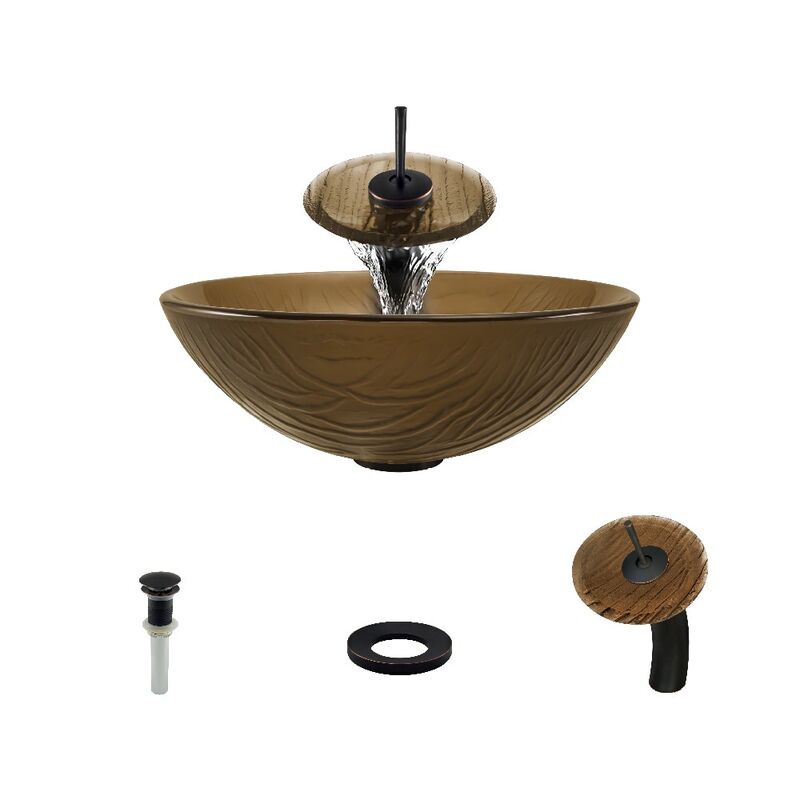 Available in your choice of Brushed Nickel, Chrome, and Antique Bronze finishes. Limited Lifetime Warranty.